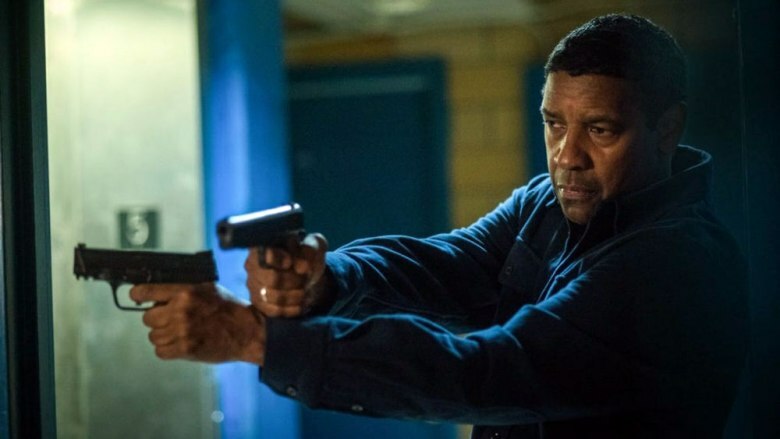 Denzel Washington had never made a sequel to any of his films until the Equalizer 2. While it may not always be clear from what is on screen, there is a sense that the richer deeper tones given to Robert McCall made Washington return to the character. As the film opens McCall is living in Boston and driving for Lyft. He is finishing up the reading list his wife left behind and pondering the future. As he takes a young man with an artistic bend under his wing, he is mourning the death of his wife with a good friend (Melissa Leo) still in the spy business. As they talk we are let in on a new tidbit, much of the world thinks McCall is dead. When Leo’s character is killed in Brussels while investigating a suspicious death, McCall is forced to contact his old partner who was in Brussels to see what happened. When it’s clear it wasn’t a random event but a targeted killing McCall vows revenge. A deeply contemplative film, Equalizer 2 is more a character study about a man who seems to be running out of time. Friends are falling away, his connection to his dead wife is fading away, time is changing things. Where is he going to go? What is he going to do? He isn’t sure. One thing he is going to do is take a young artist under his wing. It results in a wonderful subplot to the film. It also gives us one hell of a cinematic moment as McCall rescues his friend from a street gang who wants to use him for their own purposes. Standing in a hall way in the project McCall unloads on his charge about choosing a direction in life. It speaks volumes to everyone, the kid, the audience and even McCall who give voice to his own doubts. It’s a must see and one of those times when a movie makes the hair stand up on your neck and arms. Watching the film there is a sense that this was longer at some point. There are some plot threads that are left hanging or not fully realized. I’m not talking about things like how McCall can beat up a room full of slimy yuppies and not get arrested? More bits of character back stories are not explored. We are told the bare minimum even though there is a weight there that implies we should know more. What exactly happened to McCall’s wife that has saddled him with so much guilt? We don’t know. It’s not fatal but the film would have been even richer had we known. The film also essentially jumps to the final confrontation once McCall confronts the bad guys which feels too rushed. The action, when it comes, is choice. There are not a lot of action sequences, an opening fight on a train, the yuppie fight, the rescue from the gang, an attempt on McCall’s life in a car are all rather brief. Of course the final battle, an extended shoot out in a coastal town during a hurricane, fills a good fifteen or twenty minutes of screen time, and while illogical at times (I mean how can the bad guy remain on top of a tower with the wind never mind see anything to get a clear shot?) it still is a great deal of fun. Bumps or no, Equalizer 2 is a really good film. While there are signs of cutting and some illogical bits, the film still packs a punch. While I would love a third film in the series, I would be fine if McCall finds piece and hangs up his guns.